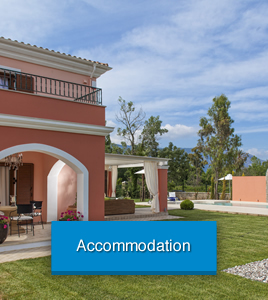 Corfunorth.com is a local tourist portal providing a selection of lodgings for self catering vacation in Corfu for all kind of budgets. Watching the international tourism trends we chose mainly accommodation which has been modernized and checked thoroughly before posted on our site. That’s the main different between Corfunorth.com and other on line portals.. We are responsible for the uploaded material (photos and descriptions) to correspond to the reality. We are not an impersonal automated on line portal. Each potential guest is treated as a separate case and we take seriously in consideration the specific needs by proposing the best choice according to his specific requirements.. The potential guests are clearly aware about all details of their planned trip prior arrival and we are eager at their disposal during their stay in our beautiful island, contributing to an unforgettable holiday experience.! We want to thank wholeheartedly all our guests who over the years have supported us and continue to support us trusting our services !